Bronchitis is an inflammation of the mucous membrane that lines the breathing, or bronchial, tubes. 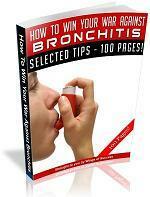 Acute bronchitis follows a cold or flu when the viral infection moves to the chest. 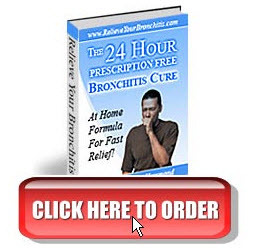 Chronic bronchitis is a result of smoking or exposure to polluted air or allergens. Bacteria is present if phlegm is yellow-green in color. Eating spicy foods liquifies the mucus and helps to open air passages. Identify allergens if they are the cause. Avoid dairy products as they contain components that suppress fluid secretions that thin mucus in the respiratory tract.